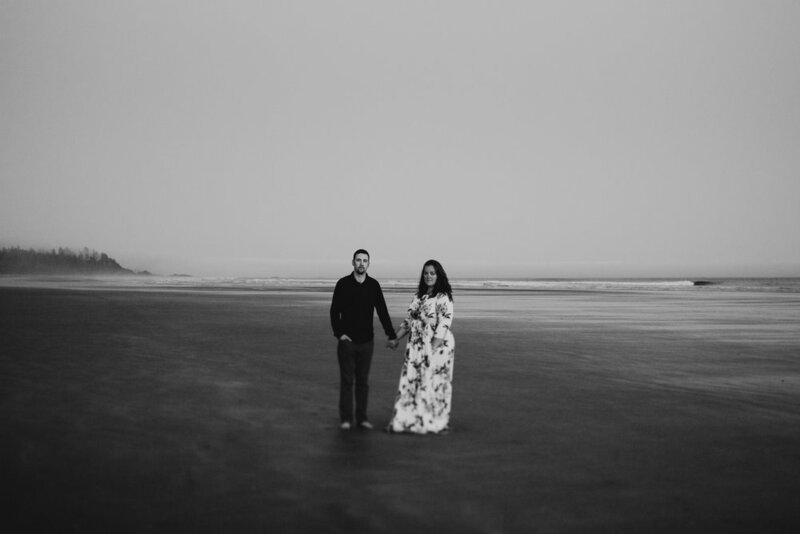 It was a foggy evening in Pacific Rim National Park, when I met Jen and Kyle for their connection session. 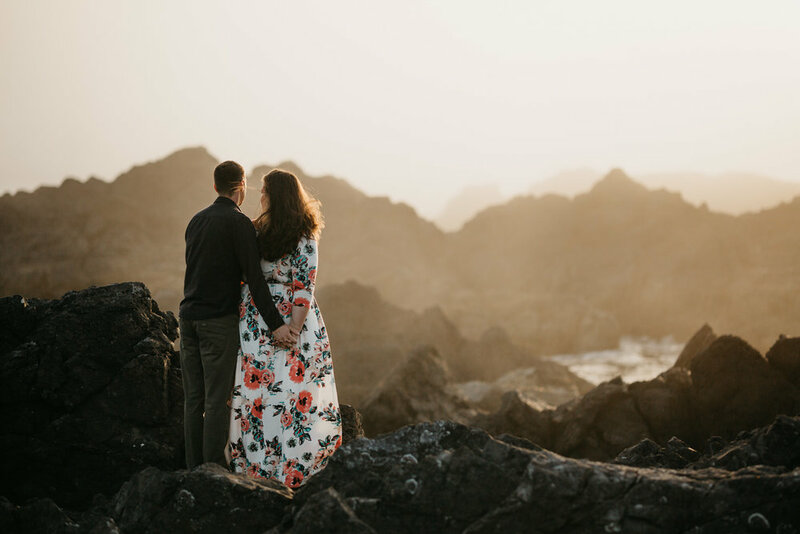 This area of the island is just the perfect spot for a wedding, elopement or connection session, and I was very excited they chose me as their photographer. 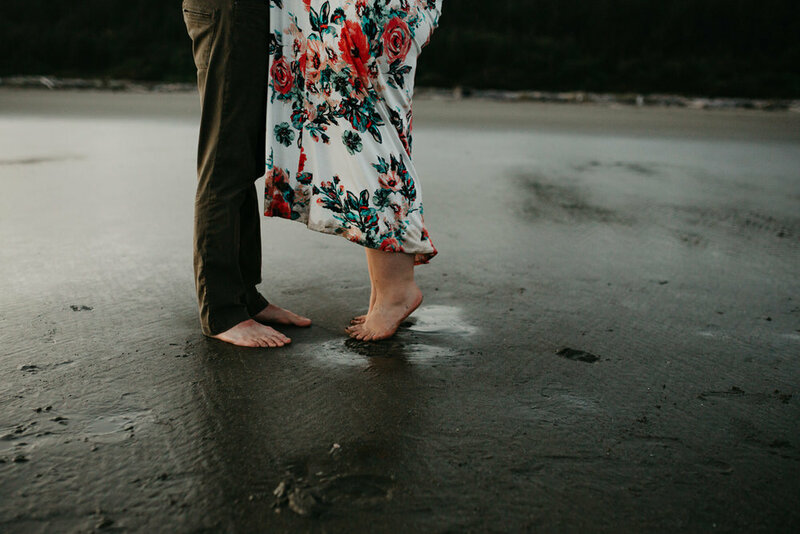 We started the photoshoot in Ucluelet. The fog rolled in off the ocean and the sunset created an orange haze. We climbed over the black rocks and cliffs - it felt surreal. 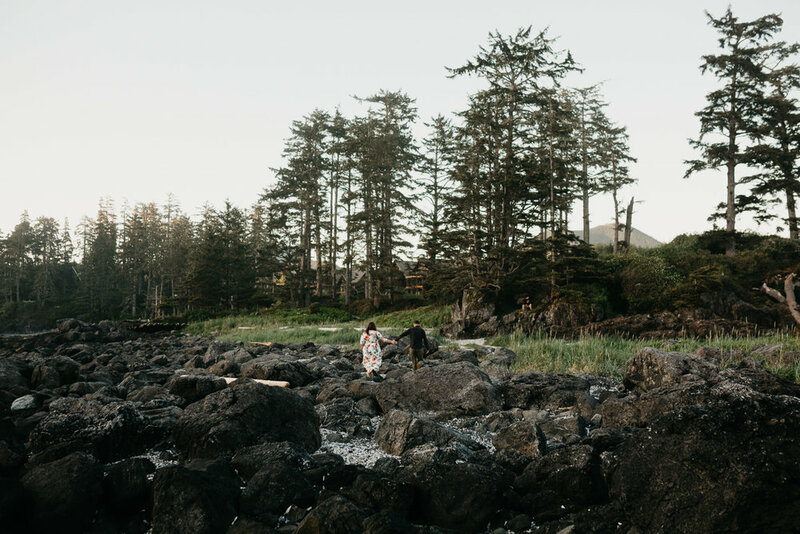 After, we carried on down the highway to Long Beach, just outside of Tofino, to catch the last bit of light. The park was the perfect backdrop to capture their connection with each other. They are both such easy going and happy people. Their smiles are contagious, and I was lucky to be able to make the trip to one of my favourite places to photograph them.